4 way Socket extension cable. 2 meters long 13A extension lead. With a Neon power indicator Power on light. Protects data and equipment from damage by electrical power surges and spikes. 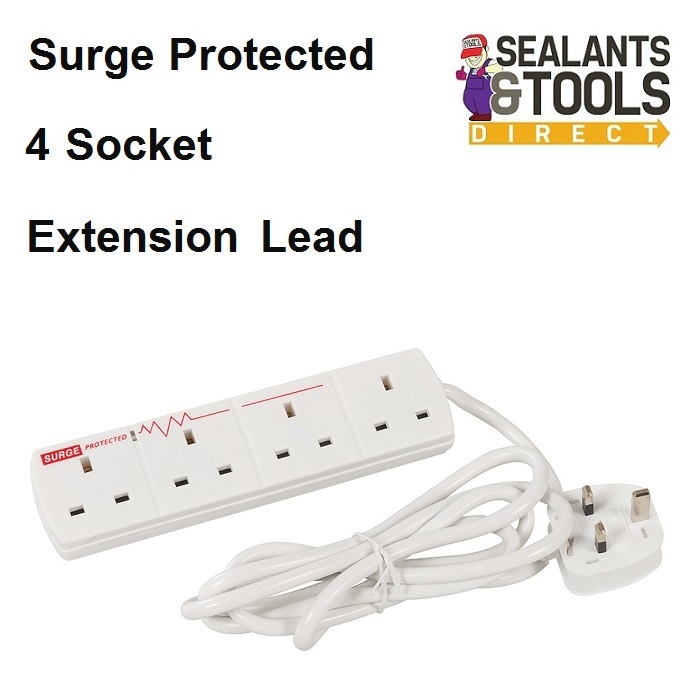 Ideal for powering appliances in the home and workshop.